Embracing digital cryptocurrencies will help financial services grow and prosper, survey predicts. Blockchain technology is perceived as “critical” for the future of financial services companies, a new report by Cognizant has shown. 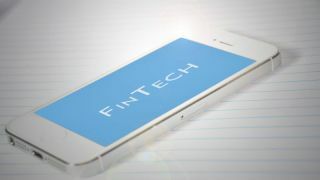 A poll of more than 1,500 financial services executives from more than 500 companies worldwide found that 91 per cent saw implementation of blockchain technology to be critical for the firm’s future. However, the report found that there is still ‘significant uncertainty’ on how the blockchain system will develop. Essentially all respondents (98 per cent) believe blockchain will save them money. Roughly 75 per cent expect revenues to grow five per cent after implementation. Half (46 per cent) think it will help with transparency, 40 per cent with risk management, 39 per cent with the speed of digitisation, and 47 per cent with data management. Yet, 11 per cent think it will reduce fraud. “From opening new markets, to increasing cross-selling opportunities and even creating entirely new business models, financial firms that move quickly on blockchain, realising the cost advantage while successfully providing added-value services, will triumph over their competition," said Lata Varghese, Cognizant AVP and leader, Blockchain and distributed ledger consulting practice. Almost half (48 per cent) of companies surveyed had a blockchain strategy in place, 42 per cent have identified processes and functions. For more than half, however, understanding blockchain use cases is an important barrier to adoption. Almost all (94 per cent) don’t think culture and change management is a significant barrier to adoption, many do believe they’ll need to be a part of a network of partners, customers and competitors. To read more about Blockchain, check out our guide here.